Amber is not a stone or crystal, it is organic matter composed mainly of botanic resins. These resins hold within them the fossilized bodies of insects that in ancient myth were believed to be alive and aid the user in amplifying amber’s solar energy. It has a hardness of 2.5 and sometimes mends to ones clutch. 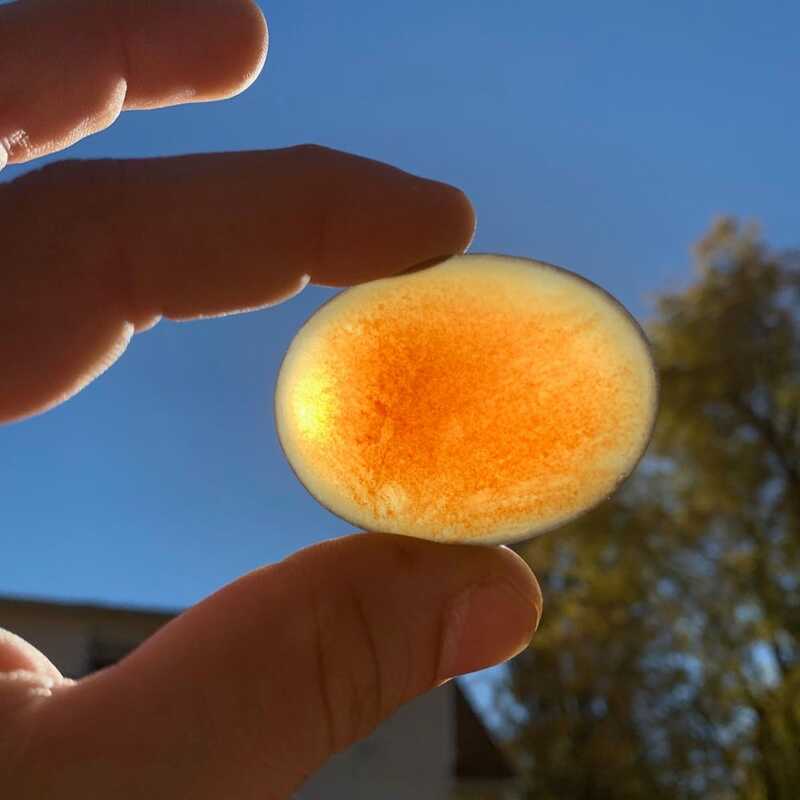 Amber holds within it purely solidified solar energy, the energy that nature depends upon to exist and expand. The planet Earth holds an incredibly close resonance with this solidified essence and will lend its wisdom to anyone with an affinity for it. The substance has been used in healing and energy work for millions of years dating back to the Middle Ages of Europe as well as Ancient Egypt and even Ancient Cretan times (2,000 B.C). Baltic Amber is known today to date back 30-60 million years ago, making this specimen a perfect vessel for truly ancient wisdom. The Ancient Greek civilizations used to refer to Amber as “Elektron” which to them meant “Sun” or “electricity”. American Indians used the stone in ceremonies involving the element fire- the Amber was burned as an incense to clear the environment of negativity. This ritual allowed the Indians to shine light on and see any negative energies. This is the very reason that Amber became recognized as solidified “sunlight”. The resin of Amber can be found in a range of colors however it is most commonly found in hues of yellow, orange, red and dark brown. The different colors of Amber (including the rare Blue and Green) can be applied to different chakra centers based on color. For example, Baltic Amber from Indonesia appears more solid, viscous and red in color than most other variations and will aid one in grounding and stimulating the root chakra. Amber is what we like to call an Alchemical healer. Unlike other healing stones, Amber will enhance the body’s ability to heal itself. When Amber is in direct physical contact with the human body it absorbs any negative energies and transmutes those energies into positive useable energy. It is a great antidote for the nervous or anxious individual, delivering a great sense of calm while enlivening the energy. It’s warm and sunny brightness is soothing to the mind and emotions whilst steadily energizing to the physical body. This stone also stimulates the art of manifestation through the solar plexus chakra. Amber keeps this chakra center running smoothly allowing us to bring our desires into reality with ease. The Solar Plexus Chakra is not the only chakra that Amber works to stimulate. It will also aid in the opening of the crown chakra and equally align energies in the physical, mental and emotional bodies. Amber stimulates order and an even distribution of energy that allows one to feel its physical vitality while staying in balance. The Electro-magnetics of the body are brought into balance and order when working with this stone. Elixirs made from Amber have also been made for thousands of years and have shown profound results on dis-eases of the throat, kidneys and bladder. Keeping a piece of Amber close to you will stimulate the ability to make choices and be decisive. It is a purifier of energies, making negative energies positive and allowing one a steady flow of energetic longevity. It is no coincidence that Amber comes from ancient trees. Just like trees taking in the carbon dioxide and turning it into breathable oxygen, Amber transcends negative energies into positive ones. It is a powerful protection stone because of its unique ability to take negativity and turn it into a useable source of clear energy. Unlike stones and minerals that are formed in the earths crust, Amber is formed by pure sunlight and then solidified. It is closely tied to light energy and to the sun and therefore helps one to form a stronger connection with intergalactic light, nature beings, devas and faeries alike. This ancient resin also has a strong resonance with the Egyptian Sun-Deity “Ra” and aids heavily in the manifestation of prosperity, wealth and abundance. 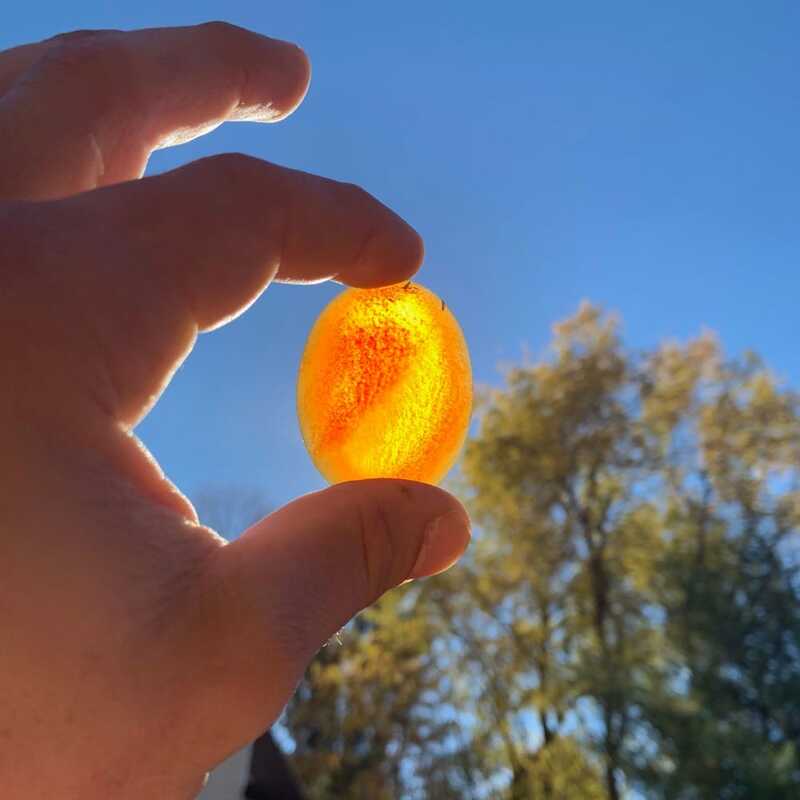 When working with Amber, envision it’s energy rising up from your feet and spreading up above your solar plexus chakra as luminescent bright-orange bubbles of resin. Allow these bubbles to multiply and surround your auric field, transmuting any negative energies into positive, clear and useable energy. Allow these luminescent spheres to expand your aura, stimulate cell repair, rejuvenate and purify your physical and astral body with incredible solar-power.